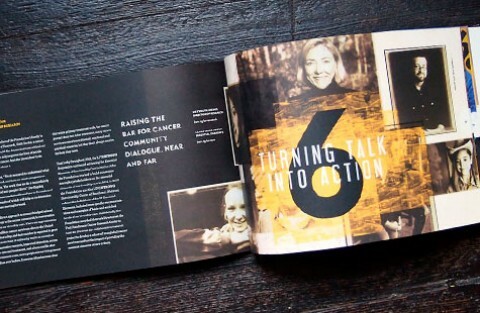 Storytelling has become the latest darling in marketing and communications. 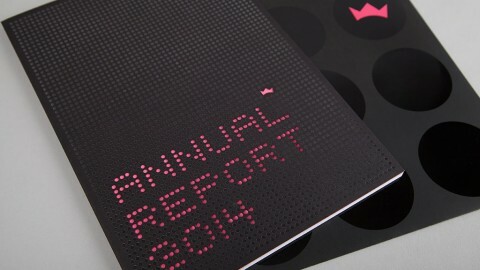 This unusual annual report shows how to create a narrative experience that rings authentic. 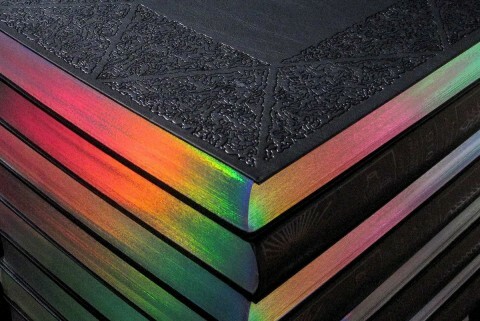 The designers used a progressive unfolding of pages to reveal new information. 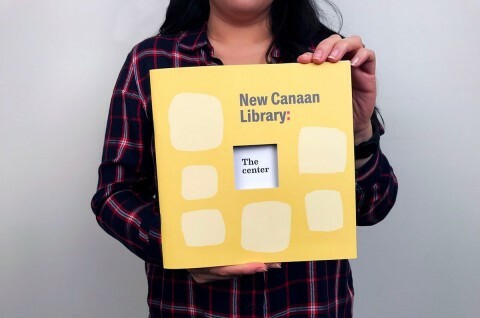 The story line is inspired by individuals positively affected by Goodwill’s mission to help people overcome barriers to employment and live full, rich lives. 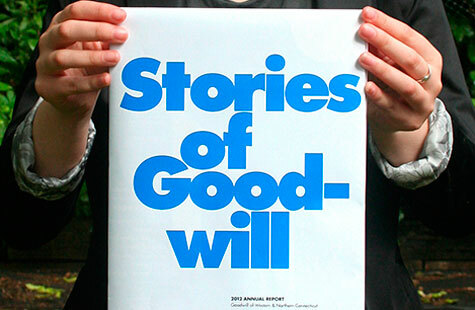 These “Stories of Goodwill” become even more personal and effective because of the format. 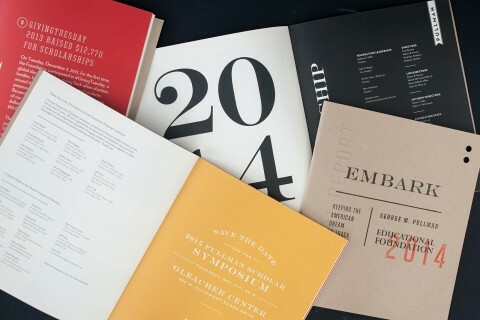 For all its emotive qualities, the annual report still manages to present every required piece of content: a welcoming letter, overview of mission, success stories, and financial information. 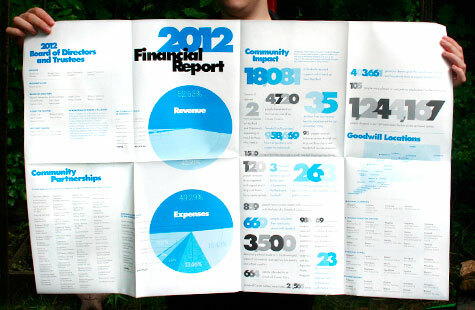 The coated stock and two-color palette (Goodwill’s blue and black) give the annual report a straightforward feel. All good stories need a happy ending. Here, that means “a big thank you” on the inside of the piece, which listed the year’s contributors. 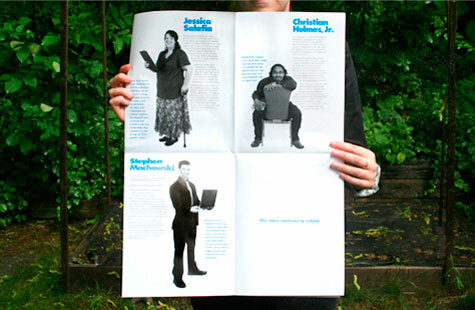 The presentation is large, and recipients (especially contributors) could have easily displayed it as a poster. 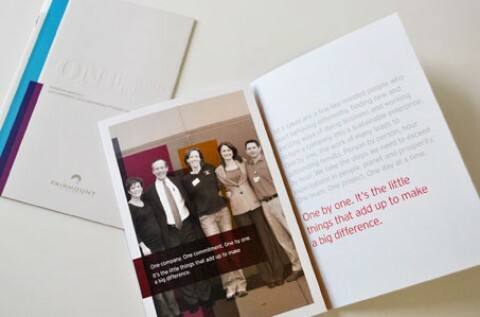 2012 Goodwill of Western & Northern Connecticut Annual Report was featured as a Paper Inspiration.